Orlando Airport Transportation, Orlando Sanford International Airport, Port Canaveral, Disney World, Universal Studios Orlando. Transfer to Cape Canaveral, Cocoa Beach, Kissimmee resorts and villas. We also service the Orlando Sanford International Airport to Walt Disney World. You should have no worries at the start of your stay, booking prearranged transportation with Orlando Sun Transportation assures you will get to your destination on time and safe. We track your flight, our professionally dressed drivers meet you at your baggage claim area bearing a sign with your name. Our friendly and courteous drivers will transport your directly to your destination in style to start your stay off right. "Reliable, affordable transportation with professional, courteous and friendly drivers." 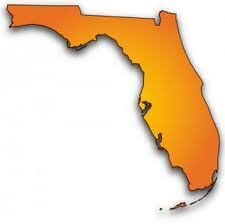 WE SERVICE ALL OF CENTRAL FLORIDA. We have excellent reviews online, look us up! Travel in comfort with a company dedicated to providing exceptional customer service. With immaculate vehicles and professional chauffeurs, we’ll put your mind at ease with regard to punctuality, safety, reliability, and discretion. Use our easy-to-use online services, or call and speak with one of our friendly customer service representatives. Closest airport to Port Canaveral is Orlando International Airport which is 50 minutes away. Book with Orlando Sun Transportation, if your looking for professional, courteous, reliable service for your Orlando transportation needs for a great price, you have found it. Look no further we strive to always do our best to satisfy our customers, our commitment is to be the best service-oriented company in the hospitality industry by exceeding the customer's expectations in all aspects of our business. - We track your flight for delays from OUR end. - You will have a personal driver waiting when you arrive. * Tax and Port fees Included. * Free Complimentary "15 minute" store stop, with round trip reservations, required to be requested at time a reservation is booked. Waiting until the day before or a even a few days before is not the time to book your transportation. You should book your transportation when you have booked your airfare. Waiting until you are at the airport is most definitely not the time to "shop" for transfers. Thinking you are going to get a "deal" by waiting until the last minute will not in most cases happen. In point of fact you may end up paying considerably more for your transfers. Orlando Airport Transfers to and from the Orlando Airport using our safe and reliable transportation service. We provide chauffeured service to Orlando International Airport and Sanford International Airport. We will treat you with the highest class of service. Using our Free "Meet & Greet" service at the airport is your ticket to convenience. Your driver will meet you at the baggage claim carousel for your flight, with a prominently displayed sign displaying the company or passenger name, so that you will have no difficulty locating him/her. The driver assists with your luggage and escorts you to your destination. Port Canaveral is a cruise, cargo and naval port in Brevard County, Florida, United States. It is one of the busiest cruise ports in the world with nearly 2.8 million multi-day cruise passengers passing through. Carnival, Disney, Norwegian and Royal Caribbean International, are some of the cruise lines which dock at one of the six cruise terminals. We can pick up and drop off at all of Port Canaveral terminals. Carnival Cruise Lines made Port Canaveral home-port for its new ship, the 130,000 ton Carnival Dream in December 2009 after several European cruises following its September launch. Norwegian Cruise Line announced that beginning in October 2010, the Norwegian Sun will be home-ported at Port Canaveral, offering winter (October to April) 7-night cruises alternating eastern and western itineraries. Carnival announced on March 10, 2011 that beginning in November 2011 the Carnival Ecstasy will be based out Port Canaveral sail four and five day cruises. In 2011, there were seven ships home based at the port with a total capacity of 21,000 passengers. There are six terminals. Drivers back round checked every year. * Max of 2 car seats and 3 booster seats provided.